Julie (or should I link here?) and I have been tossing around these plans for starting a line of historical patterns for a long time. I'm not quite sure how long. I've been merrily taking pattern after pattern for a couple of years so that once the infrastructure is in place, we can start putting them into the computer program and working on the grading, making test samples, etc. But first we need the computer program and associated modules, hence the Kickstarter. 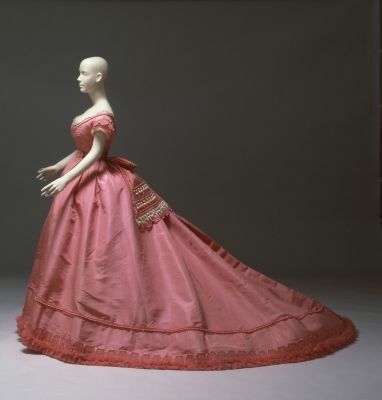 Our first pattern, which we're making available for pre-order as the basis for the Kickstarter, is for the 1867 pink evening gown by Emile Pingat in the collection of the Albany Institute of History and Art. 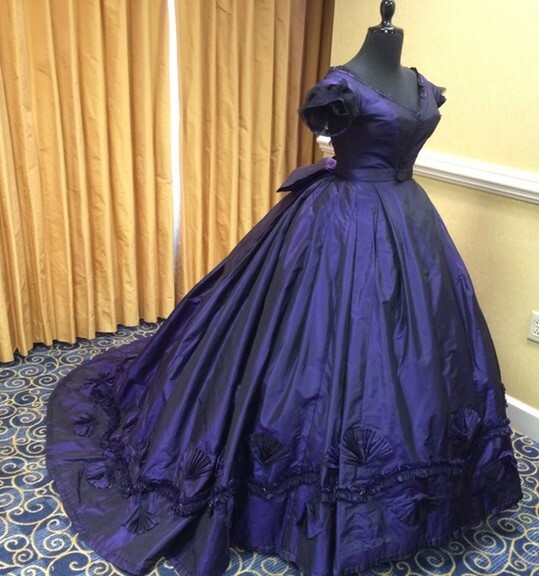 Dragonrose Historical Patterns will produce patterns that are custom-sized to your measurements, rather than only standard sizes made to fit idealized bodies. (It's the program module for this function that the Kickstarter is funding.) This will be a huge time-, energy-, and frustration-saver for those sewing at home. and that's not including the many interesting garments I know of in various museums but haven't had the time to pattern yet! I am really looking forward to creating patterns that are as authentic as possible - based on specific historical garments, or maybe two combined for variety in such a way that which parts belong to which are clearly marked - and, just as importantly, are tested and double-checked so that you don't end up with instructions that can't be parsed or seam allowances that don't match up. So if you're interested in this venture, please consider supporting Dragonrose Patterns! And please let us know your thoughts on this particular pattern, the line as a whole, or what you'd like to see in the future. How exciting! Looking forward to seeing this develop. Thank you! I think we're going to go places.